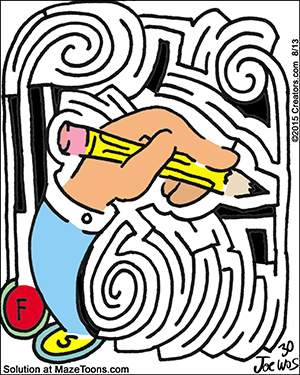 Every week or two I like to mix in an abstract maze. These are non figurative mazes that let me just experiment with different kinds of form, structures and lines. Here is the first of the daily abstracts. There will be more throughout the year. Enjoy.